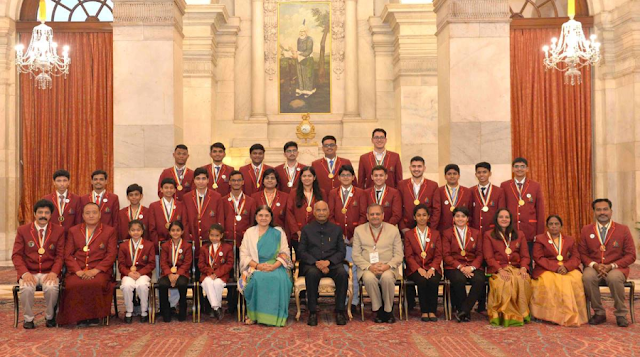 The President of India, Shri Ram Nath Kovind conferred “Pradhan Mantri Rashtriya Bal Puraskar” – the revamped award scheme of the Ministry of Women and Child Development, Government of India,to 26 children, 2 individuals and 3 institutions, today at Rashtrapati Bhawan, New Delhi. The Minister for Women and Child Development, Smt. Maneka Sanjay Gandhi; Secretary, Shri Rakesh Srivastava and other Senior officers of the Ministry along with a sizeable number of children living in Child Care Institutions of Delhi attended the function.